What runners should do about blisters on the feet. The best way to deal with blisters is to avoid them. 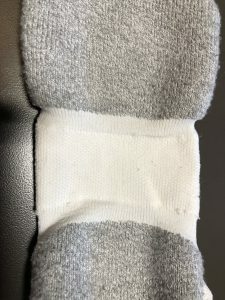 The best way to avoid them is with a proper fitting sock, made from the right materials, designed for your activity, and worn inside a properly fitting shoe. Look for socks with sizes. Just like you want shoes to match the size of your feet, you should also want socks to do the same. One-size-fits-all socks may be too taught and constrict the toes, or they may be too loose. They also tend to be made from 100% cotton, which is a problem that will be explained later. A sock that is too taut may bind the toes, which may increase friction, which may result in blisters. A sock that is too loose may wrinkle, and wrinkles may pinch the skin, and pinching may cause blisters. Synthetic fibers are a better choice than natural fibers, excepting the natural fiber merino wool, when selecting materials that prevent blisters. The worst material is 100% cotton. Synthetic fibers are better because they can be spun and woven to resist absorption or to channel moisture away from the foot, or both. 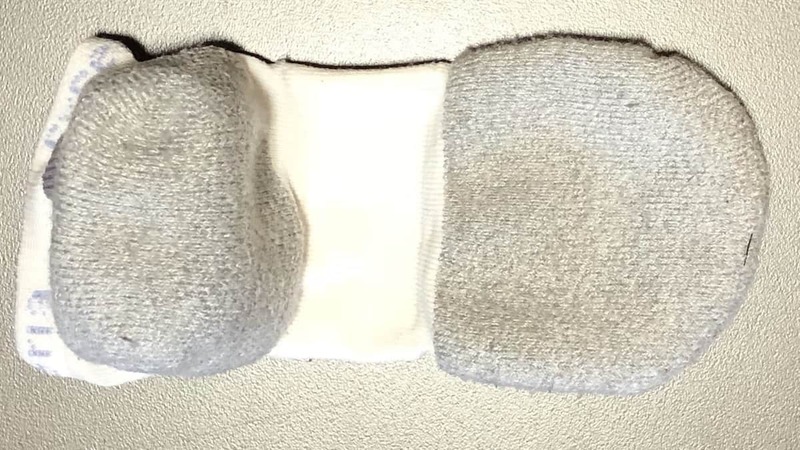 Socks that draw moisture away from the skin will channel it to the sock’s surface. 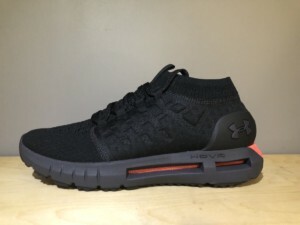 There, if the shoe’s upper is made of mesh, air easily passes through and evaporates the moisture. A good sock is made for a particular activity. The company THOR*LO pioneered sport-specific socks—which is why we sell them. Socks for runners, for example, may have extra padding in the heel and forefoot. That cushioning will reinforce the fat pads that occur naturally in those parts of the foot. Socks for runners may also be made of particular yarns, have special thicknesses, and be made from multiple layers. During exercise, the foot handles ground reaction forces as from 1.5 times the body weight to more than 3 times the body weight. That pounding will cause the foot to spread and eventually to swell. There needs to be enough room to spread into and to swell into. There will probably be adequate space if there is a ½ inch of room in front of the longest toe and if the shoe is wide enough for the entire foot to fit on the midsole of the shoe. If the shoe is too small or too big, the forces that cause blisters may increase. ← Can I race in my training shoes?